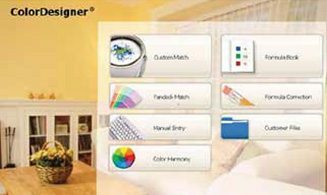 The X-Rite Coloring Matching technology is a top-of-the-line paint services system used by FS Paint Services to ensure the exact paint color you’re looking for can be used for the interior painting or exterior painting of your home or business. The color matching system serves as an infinite color source, allowing you to make your paint, instead of picking it out at the store. Three factors contribute to making this paint feature cater to your needs. 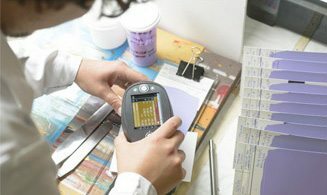 This tool allows FS Paint Services to scan any color, from any source and generate the exact color. Looking to do some interior painting? Are you looking to match your living room wall to the color in a painting? Maybe some exterior painting? Do you want your barn painting to match your house painting? We can make that happen. This tool is mobile, so we’ll come to you, every time. Once you’ve picked the base color for your interior walls, maybe you need to decide on accent colors for the crown molding our trim. Or a fresh coat of paint outside needs a complementary color for the shutters. 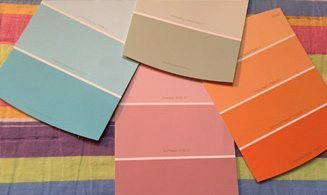 The Color Harmony tool, part of our professional painting services, matches optimal colors. Don’t you wish you could know exactly what that room or exterior paint job will look like before you make your final decision? Sometimes it is hard to visualize your latest interior painting or exterior painting ideas. With the Home Visualizer tool, that is possible. Whether we’ve scanned a photo in, or received it through email. You can watch us paint your room on-screen before we make that trip to your home or business.